When an IIT guy meets a girl from Lady Shri Ram College, they are supposed to talk sensible things. However, their first meeting was a mix of an interview and a date. In the second meeting, when Sahil vanished from the tea shop without paying the bill, Soumya decided not to marry him. But as destiny would have it, they got married in February 2017 at one of the most beautiful places in India – in front of Taj Mahal. The ‘coolness’ of his parents is reflected in Sahil’s nature. Guided by a father who loves taking the leap of faith and Maa who is cheerful and strict, Sahil’s life has always been inspired by them. Soumya comes from Ghaziabad with multiple sets of guiding forces. Her brother, bhabhi, her sister and brother-in-law have inspired her as much as her parents. 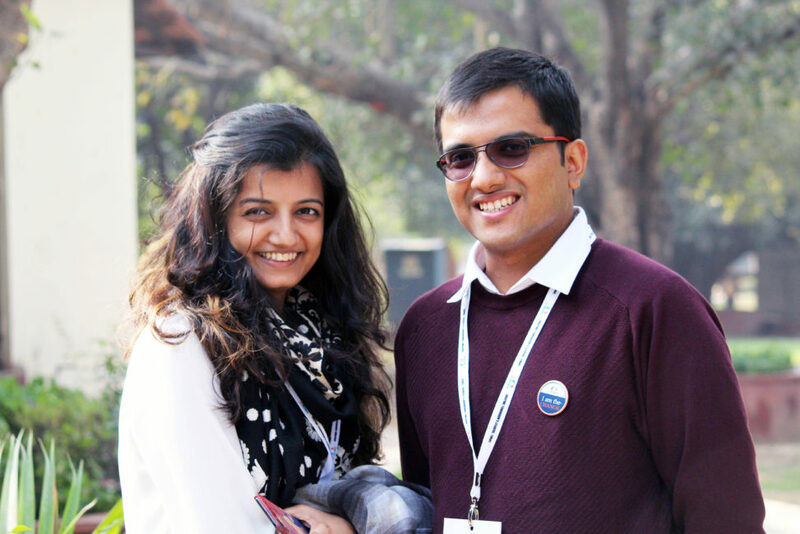 Soumya and Sahil work together on multiple initiatives of their interest. They love traveling, reading, brainstorming, and watching movies together. In this blog, they share their experiences and ideas. Their passion to work for the nation unites and energizes them. Please write to us at the contacts mentioned above describing your event.